Anybody excited for Terminator 6, the first of a new trilogy? No? Hard to blame you since we just heard much the same thing from Terminator Genisys, and that went nowhere. But this one has James Cameron behind it, and Deadpool's Tim Miller directing, so there should be at least a little more optimism...right? Anyway, Cameron's out there trying to save what looks to be a bleak future for his Alita: Battle Angel, and while speaking with IGN he revealed some details about his new Terminator, including what we can expect from Arnold Schwarzenegger. 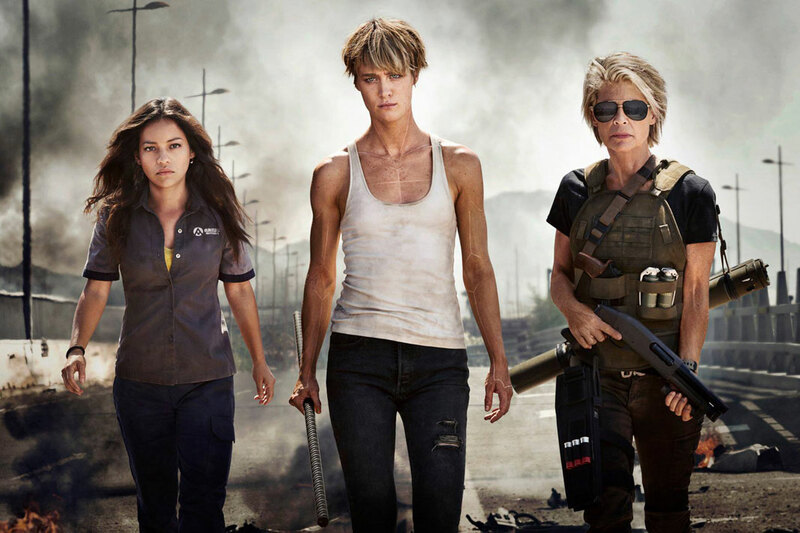 First up, Cameron revealed the working title is Terminator: Dark Fate, which to me sounds like the title of a tie-in novel nobody would read. But hey, it's not official or anything, and as Cameron notes it may change before too long. I think it will. Okay, so does that mean he'll be working alongside the new model Terminator played by Agents of SHIELD's Gabriel Luna? Also returning to the franchise is Linda Hamilton as Sarah Connor, and Ed Furlong as, just kidding, he ain't coming back except as a facial likeness. Mackenzie Davis, Natalia Reyes, and Diego Boneta co-star. Terminator: Dark Fate opens November 6th.